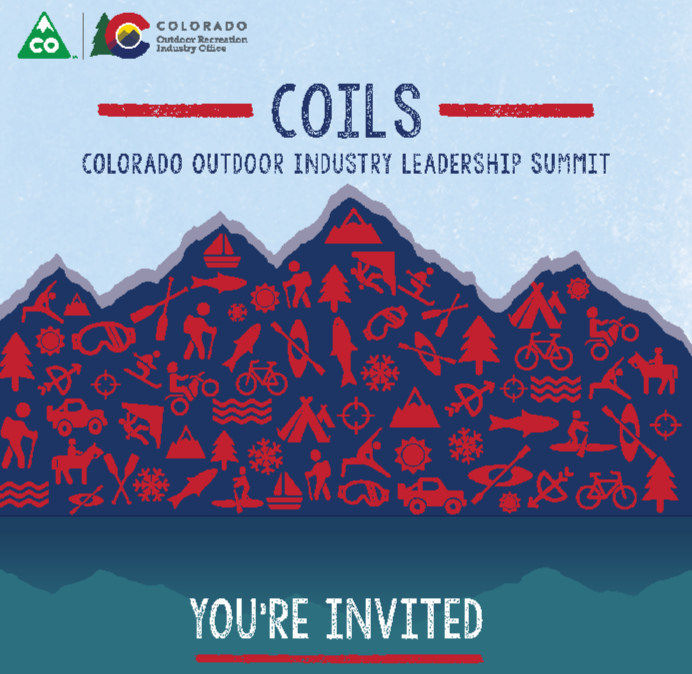 The Colorado Outdoor Industry Leadership Summit is hosting the regional gathering on Friday, April 7 for the mountains in Breckenridge, Colorado. If you're a leader in the outdoor industry or a nonprofit, startup, business or organization focused on public lands, outdoor recreation, rec tech / innovation, this is your tribe and this is your gathering. Join us. We're focusing on the central mountain region in Colorado, including Aspen, Steamboat, Vail, Winter Park, Breckenridge/Summit County. So, what exactly is COILSx? This is the first-ever COILSx meeting for the mountain region. The keynote talk will feature Lieutenant Governor Donna Lynne. Other speakers include: The Forest Service, Mountain Pact, High Country Conservation Center, Phunkshun, Luv Byrd and others. Take a few minutes to fill out this survey to help us plan and prepare for the COILSx event.